This fully illustrated and colorful book is designed to tell the story of Jesus to young children. The book retells the story of creation, the fall, everyone’s need for a Savior, and the life and ministry of Jesus. The ERE aims to introduce children to the one true God who created them and wants to become their Father. 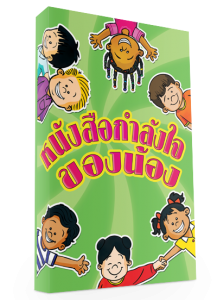 It is full of fun activities and games that will keep children engaged throughout the book. This fully illustrated book is designed to tell the story of Jesus in an age-appropriate, fun, and engaging manner. The story begins with a God who creates all things in the beginning. Felt needs, such as acceptance, security, family relationships and friendships are addressed through a modern-day character who appears throughout the book to guide children through the story. Learning activities are included to further help students engage with the story and apply its meaning to their lives. Every young person has questions about life. This book addresses the felt needs teens face each day through articles and activities based on Jesus’ life and his teachings. Topics covered in this book include love, family, friendship, addictions, success in life and facing the future.